Idaho owns more than it owes. 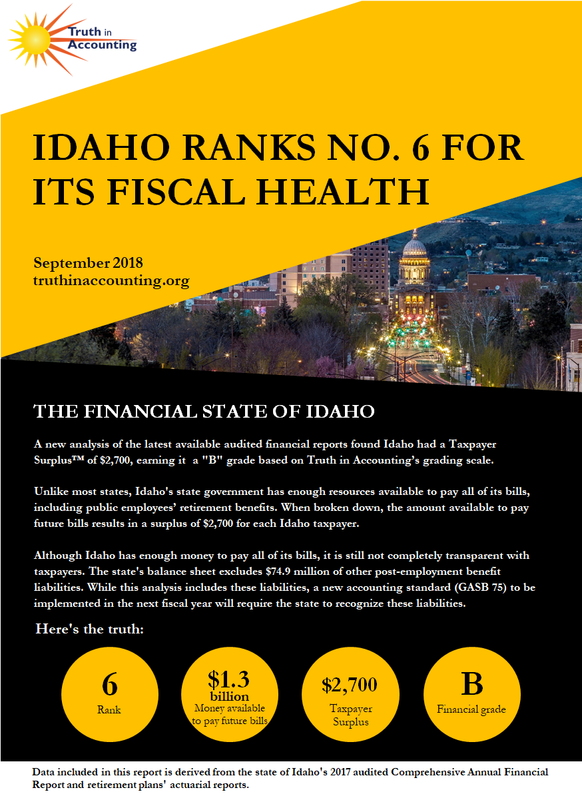 Idaho is a Sunshine State with enough assets to cover its debt. 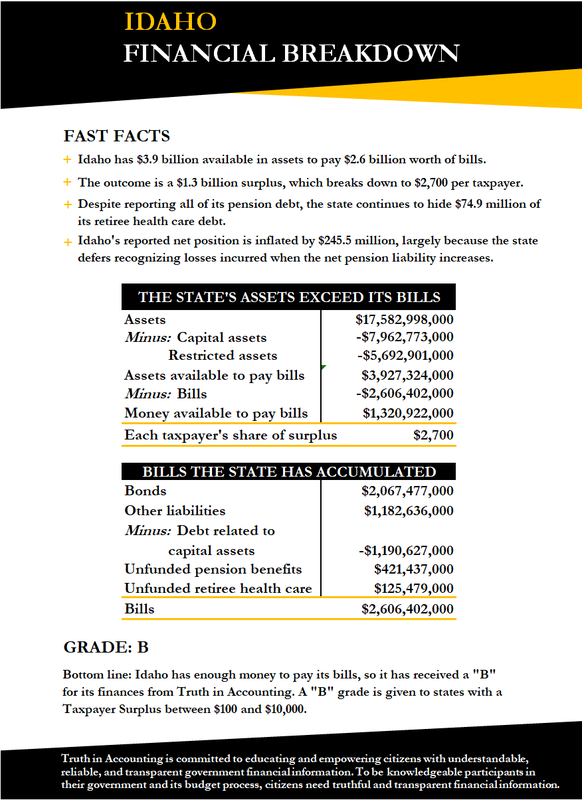 Idaho has $3.9 billion of assets available to pay the state's bills totaling $2.6 billion. 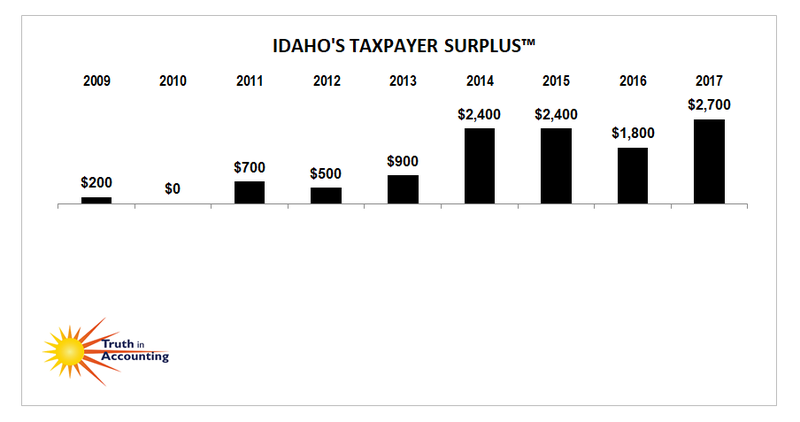 Idaho has $1.3 billion available after bills have been paid, which breaks down to $2,700 per taxpayer. Idaho's reported net position is inflated by $245.5 million, largely because the state defers recognizing losses incurred when the net pension liability increases. The state is still hiding $74.9 million of its retiree health care debt. A new accounting standard will be implemented in the 2018 fiscal year which will require states to report this debt on the balance sheet. Congress could consider some comprehensive reforms of Social Security if they improve the program’s solvency and protect the benefits of retirees and those close to retirement, the Republican representing Eastern Washington voters said.